Picture it: a young guy from Central New York watching General Hospital. Every day. No spoilers. No message boards. No Soap Twitter. Just watching because there was no other way to know what would happen next. 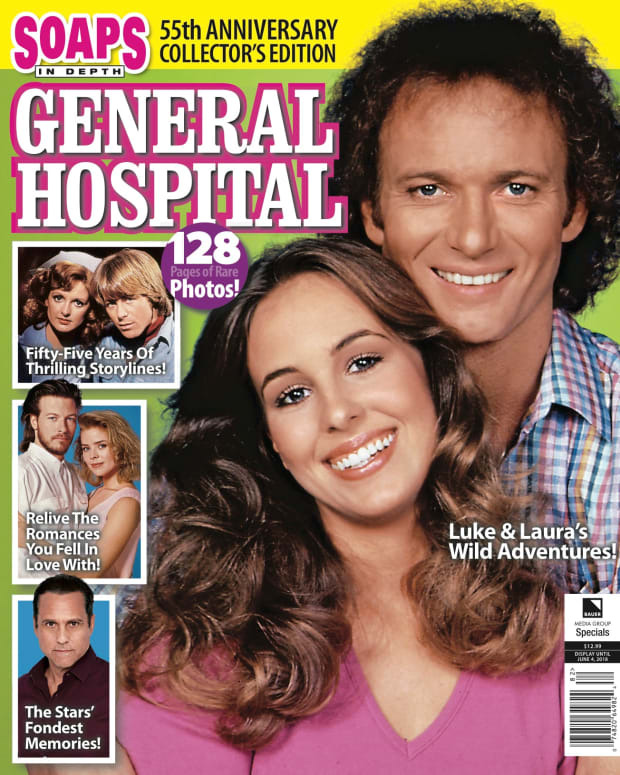 This week way back in 1981, Lucas Lorenzo Spencer (Anthony Geary) married Laura Vining Webber Baldwin (Genie Francis) setting a daytime soap opera ratings record that would never be bested. The saga of Luke and Laura wasn&apos;t my favorite story at the time. I was more focused on Heather Grant Webber&apos;s (Mary O&apos;Brien, Robin Mattson) machinations. However, the rest of the world (including movie star Elizabeth Taylor) couldn&apos;t get enough of television&apos;s most popular soap opera supercouple. Thirty million people tuned in to watch nuptials not even Laura&apos;s jealous ex-husband Scott Baldwin (Kin Shriner), or a curse from Helena Cassadine (a guest-starring Taylor) could prevent from happening. Yet, like another beloved couple whose 80&apos;s era wedding was watched by millions — Prince Charles and Lady Diana — L&L&apos;s love affair wasn&apos;t meant to last. In 2016, Luke Spencer, and the concept of the soap opera supercouple are relics of the past, but it&apos;s a testament to her enduring popularity that Francis is back on GH where she belongs, her Laura embarking on a new romance. Do you remember the day Laura took Luke as her lawfully wedded husband, or did you only watch the event on YouTube or SOAPnet anniversary marathons? Either way, share your thoughts in the comments!